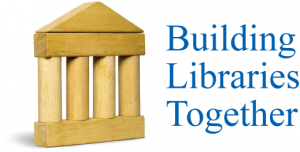 Last September, the John S. and James L Knight Foundation issued this challenge: “How might we leverage libraries as a platform to build more knowledgeable communities?” Today we are proud to announce that the Internet Archive’s plan for “Building Libraries Together” will make archive.org more community-driven, with a major grant from the Knight Foundation. The Knight Foundation is the leading funder of journalism and media innovation, seeking to promote informed and engaged communities. At the Internet Archive, we know we can’t preserve the world’s knowledge alone. We will need the public’s help to curate our shared human culture. So we are embarking on a two-year project to build a toolset and user interface that allow communit ies outside the Archive to save, manage and share their cultural treasures— further democratizing access to all knowledge. Citizen-archivists will be able to build collections, enhance metadata and join like-minded communities in deciding what of our history gets archived and made accessible to everyone, forever, for free. 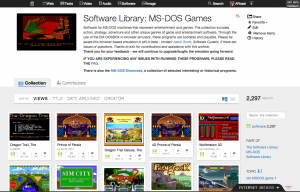 A look at the Internet Archive’s software library in the new user interface. What Wikimedia did for encyclopedia articles, the Internet Archive hopes to do for collections of media: give people the tools to build library collections together and make them accessible to everyone. Please try out our new beta-version of our site here. This entry was posted in Announcements, Archive Version 2, News. Bookmark the permalink. this is very great to have who ever came up with this idea is a very smart person thank you very much for the organization.